Safety in youth sports is a serious issue, and the topic has resulted in new regulations and laws around the world. In an effort to mitigate risks involved with sport participation, sport organizations are turning to technology to improve processes. The Kitchener Rangers Hockey Club is proactively enhancing their current health information collection process for their hockey players by engaging PRIVIT®, a London, ON provider of online solutions for managing personal health profiles. The Kitchener Rangers selected Privit Profile®, PRIVIT’s online solution for helping sport organizations solve the universal problem of collecting and managing athlete health related information. 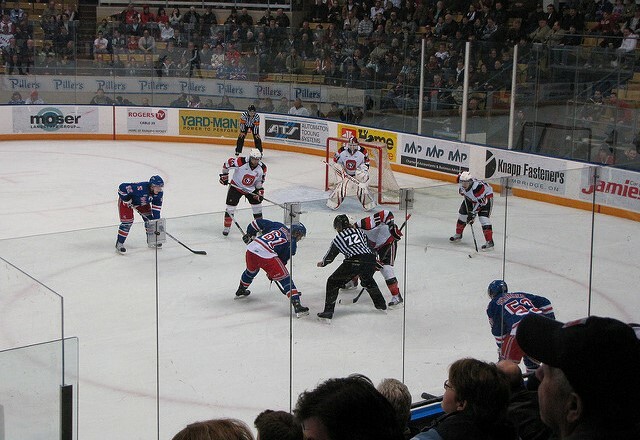 Privit Profile® enables the Kitchener Rangers to migrate from their paper based health forms, to an automated and secure environment for managing its players health related information. “The Kitchener Rangers are looking forward to incorporating PRIVIT into our organization,” said Dan Lebold, head athletic therapist with the Rangers. “The staff at PRIVIT were very thorough, helpful and detail oriented when it came to making sure all our needs and requests were met with the program. The Privit Profile® solution provides the Kitchener Rangers completion tracking reports to easily identify which athletes have or have not submitted the required information for participating. Athletic Therapists and administration are able to easily access emergency contacts and pertinent health information of their players within a privacy compliant environment wherever Internet access is available. Parents like the ease of use and the flexibility of being able to update their child’s personal health profile on a regular basis. Privit Profile® is the leading solution for mitigating risks involved in sports and is used by hockey leagues throughout North America. The Kitchener Rangers, established in 1963, are a member club of the Ontario Hockey League. Over the course of its history, the club has won four OHL titles (1981, 1982, 2003 and 2008) and appeared in six Memorial Cups (1981, 1982, 1984, 1990, 2003 and 2008), advancing to the final game of the tournament each of those six years. The Rangers have graduated well over one hundred players to the National Hockey League.